Those who serve in the U.S. armed forces are honored with a number of benefits, ranging from education assistance to retirement. Among the perks are a number of steps to make filing federal income tax returns easier, as well. The "Armed Forces' Tax Guide"
Internal Revenue Service Publication 3, "Armed Forces' Tax Guide," details special tax situations for those serving in the Army, Navy, Air Force, Marines or Coast Guard. Many service members take the easiest route and use the shortest, simplest form. “Probably a good 80 percent or more of service members will file the simplest version of the tax forms because they don’t own property or have very many investments,” said U.S. Army Reserves Maj. Monica Rigaud, a financial manager for the Department of Defense. 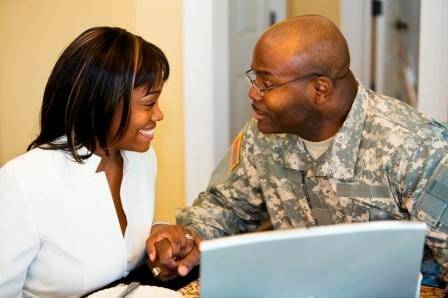 When service members marry and file jointly or have property, investments and charitable donations to consider, they often must complete additional forms and schedules so they can take advantage of subtle differences in tax law that pertain only to service members, said retired Air Force Lt. Col. Steve Cowden, a trained community volunteer for the AARP Foundation. Cowden counsels service members on their taxes at the Naval Air Station Joint Reserve Base Fort Worth, Texas, through the Volunteer Income Tax Assistance Program. He and Rigaud offered tips for military members preparing to file their taxes. “What the government does is provide (the service member) with 95 percent of the cost considered standard to move the family,” said Retired U.S. Air Force Lt. Col. Steve Cowden. Active duty service personnel who move because of a change of duty location may deduct what the IRS calls “reasonable unreimbursed expenses” of moving themselves and their families. Each branch of the military pays for the relocation of those members who aren’t married or don’t have families. If the service member is married, Cowden explained, “What the government does is provide (the service member) with 95 percent of the cost considered standard to move the family." The rest can be reimbursed or deducted, depending on the situation. All branches of the military issue uniforms to their members and require that they wear them. Each person is given a monthly clothing allowance for regular upkeep. For tax years prior to 2018, expenses that exceed that allowance may be a deduction as an unreimbursed employee expense subject to 2% of your adjusted gross income if you itemize your deductions. Many service members are required to wear camouflage but aren't required to wear their dress uniforms except for special occasions, Cowden said. “Dress uniforms are not considered a regular uniform, such as camouflage,” he said. “The dress uniforms are considered to be like suits.” They would not qualify under the deduction or reimbursement, he said, unless a special circumstance requires the service member to wear a dress uniform, and you are not allowed to wear them when off duty. In such a case, he said, the additional costs may be an itemized deduction. Beginning with tax year 2018, these unreimbursed employee expenses are no longer deductible. Active reservists may deduct unreimbursed travel expenses for traveling 100 or more miles from home to reserve duty. “If the reservist travels 100 or more miles, they can get the standard mileage rate for traveling, and charge off lodging and half of their meals,” Cowden said. Students who receive subsistence allowances for participating in advanced training aren't taxed for that allowance, but active duty payment for events such as summer advanced training camp is taxable. The military offers service members a civilian life transition program to help them prepare for life after the military. Some costs—such as expenses for job-hunting—incurred during these programs for transitioning between military service and civilian life may be deducted. Deductible expenses include those incurred for travel, resume preparation and job placement fees. Service members who serve in a combat zone are allowed extra time without penalty to take care of their tax filing matters. The IRS automatically extends deadlines for qualifying members of the military for filing tax returns, paying taxes and filing refund claims. Commissioned officers also may exclude part of their combat pay, but their exclusion is capped at the highest rate of enlisted pay—plus extra pay for imminent danger or hostile fire.